Sometimes, it’s hard to understand why movie studio executives do what they do. Dumb movies get made, dumber movies get sequels, and then everything gets rebooted every few years and nobody knows why. However, it sounds like the philosophy that drives Legendary Entertainment founder and CEO Thomas Tull is really very simple: He’s actually two or three kids standing on each other’s shoulders inside a trench coat. Like, literally. For real. OK, not literally and not for real, but the truth is pretty close. 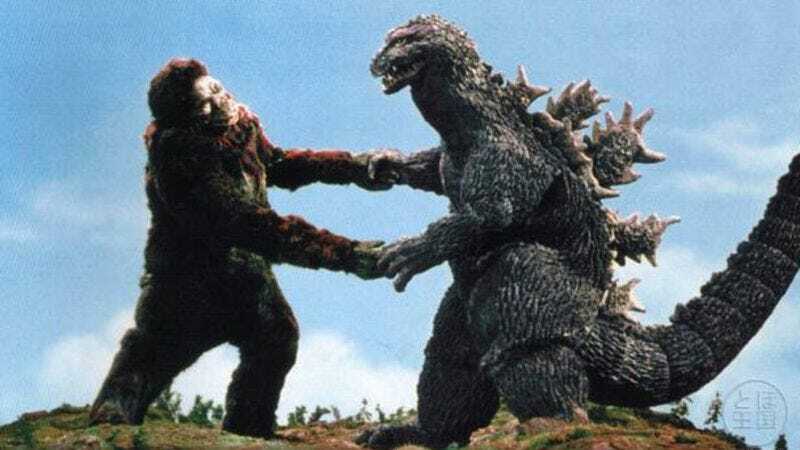 In an article on Variety about Legendary’s upcoming monster-punching movie Godzilla Vs. King Kong, Tull explained that his reasoning behind pushing for the project was that he’s “juvenile” and simply “wanted to see them fight.” If we then take that “I’m juvenile and wanted to see blank” explanation and apply it to some of Legendary’s more questionable ventures, everything starts to make a lot more sense. Seventh Son was “I’m juvenile and wanted to see Jeff Bridges kill witches with a sword.” Dracula Untold was “I’m juvenile and wanted to see a vampire kill a bunch of medieval soldiers.” Pacific Rim was “I’m juvenile and wanted to see robots punch monsters.” Then there’s Sucker Punch, which we shouldn’t even have to explain.